Introducing a NEW Book by Cindy Rushton!! Cindy Rushton's LET'S GET ORGANIZED E-Book! 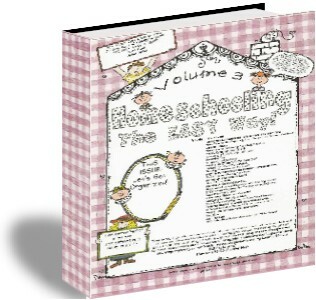 We have been working away behind the scenes to wrap up the 3rd Volume of HOMESCHOOLING THE EASY WAY Magazine. NOW! We are elated to let you know that it is OUT! YOU CAN HAVE A COPY TODAY!